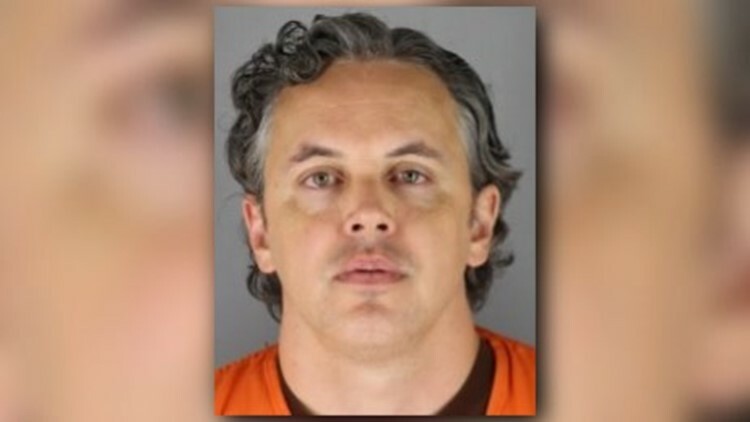 Postal worker charged with firing shots at Federal Reserve Bank of Mpls. According to the charges, Wood used a 12-gauge shotgun to fire three shots at the Federal Reserve Bank during the Minneapolis Aquatennial fireworks display. ST. PAUL, Minn. - A St. Paul man faces charges after firing shots at the Federal Reserve Bank of Minneapolis, according to police. Christopher Douglas Wood, 43, faces one count of reckless discharge of a firearm and two counts of damage to property in connection with the July 21 incident. According to the charges, Wood used a 12-gauge shotgun to fire three shots at the Federal Reserve Bank during the Minneapolis Aquatennial fireworks display. Investigators say they recovered three shotgun slugs, which broke windows, smashed through interior walls and penetrated into the employee office space. No one was injured. The shots fired caused more than $40,000 in damage, according to the charges. Two Federal Reserve officers say they heard three loud blasts coming near the top of the Minneapolis Central Post Office parking ramp the night of July 21. Investigators later discovered Wood, who's an employee of the post office, had parked his car in the area where the shots came from. The Postal Inspector also told investigators that Wood's shift ended at 10 p.m. that night, but his car did not leave the parking ramp until 11:15 p.m. Furthermore, the Postal Inspector told investigators Wood was seen firing some sort of improvised gun made from PVC from the parking ramp before his shift on July 20. Post Office surveillance cameras identified Wood on both dates. Investigators arrested Wood on Aug. 20. During a search of his apartment, police found a 12-gauge shotgun under his bed, ammunition, literature regarding "End The Fed," which references a political movement that is critical of the Federal Reserve Bank as well as a stack of counterfeit bills featuring the face of Ron Paul, according to the complaint. Wood remains in Hennepin County Jail on bond.